The residents of Sarjapur Road are spoiled for choice. How would you like to get run over today? A speeding bike? An auto? A car or a SUV? Even a truck if you’re lucky. All plying on the WRONG side of the road. It all started when the stretch of the road from the Sarjapur Road Fire Station to Iblur junction was made a no right turn zone – no break in the median for about a kilometre or so. This was done to ease traffic hotspots elsewhere and it HAS served its purpose. The side effect however, given our barely civic citizens is the flood of wrong way traffic – particularly of people trying to take the Motherhood turning. Sign boards have been put up but to no avail. Age no bar, caste no bar, gender no bar, class no bar when it comes to blatantly breaking rules. There are no footpaths to speak of and what little there is gets taken over by these vehicles going the wrong side sometimes, overflowing into the middle of the lane into the oncoming traffic. Even superheroes would not risk being pedestrians here. Trying to stop the wrongdoers and having a sensible conversation has proved useless. Nobody. Cares. Over the past six months there have been at least 30 serious accidents in this stretch of road, of which three have been fatal – and that too pedestrians. 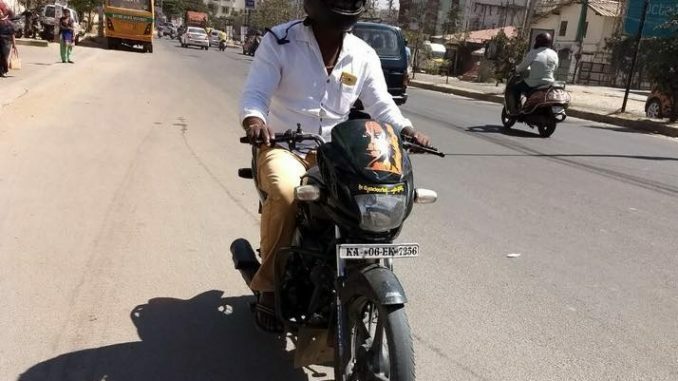 The below video posted on Bangalore Traffic Police page six months ago shows the plight of the road. Next to Sarjapur road fire station. Wrong side driving g is a common affair. Even school kids are not spared. Last week, a person died because of wrong side driving. Collision between two bikes in opposite direction. Traffic police has no intent to fine offenders. They only want to catch people not wearing helmets. Its ok to drive with a helmet in the wrong side. What about those potential murderers who are risking others life while driving on the wrong side? How many more lives need to be sacrificed due to the traffic police apathy? This is when the residents of Divyasree Elan Apartments decided to take matters to the authorities. We formed a group and approached the Bellandur traffic police for help. We met inspector Rajasekhar and requested their assistance. He promised to allocate traffic cops to man the junction where this wrong side traffic starts. For the last three months, BTP personnel have been on the spot controlling the traffic. Fines have been levied on the spot , challans have been mailed in the hundreds. When the cops are around the wrong way traffic is by far reduced if not fully eliminated. It was the height of summer and we tried to help by getting sponsors for a shade and couple of chairs. It was truly a People-Police-Partnership. We thank BTP for their co-operation and look forward to more collaboration. However, the cops cannot be there all the time. 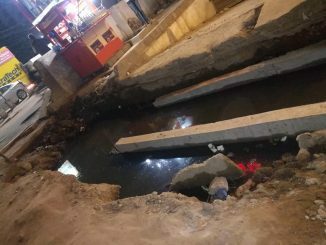 Though they are supposed to man the junction from 7am to 9pm, due to various reasons of staffing, personnel issues, this does not materialise. And when the cops are absent, we are again back to square one with the flood of wrong side traffic. Many a times, even in the presence of a cop, some brash motorists race past him. Some even threaten the cop, quoting some local politician or another. What we need is a permanent solution to this! People who break rules while fully aware they may cause injury should not be able to get away with it. Be it in the form of one way spikes or a reconfiguration of the roads and lanes, we need a solution that works. We need a solution that is permanent and does not depend on availability of Traffic Police personnel. We need this solution, and we need it before we have another tragedy on our hands. With this vision we procured an appointment with Additional Commissioner Hithendra on July 3rd, 2018. He has been very responsive to our grievances. While spikes and higher fines have been ruled out due to lack of supporting laws, he has suggested a reconfiguration of the roads that will start on a trial basis with the support of HSR Layout Traffic Police. We have an active Twitter stream that we use to notify the authorities of the day to day status of our road. More than a hundred tweets have been sent out. Again, the BTP have been very responsive to us and we are thankful for that. We have posted emails to our MLA Arvind Limbavali as well regarding this problem and the larger infrastructure issues in the area. And finally, here we are trying to garner more support for our cause through the news media. All in the hope that when our children head out to school, they don’t get mowed down by the wrong side traffic. Pedestrians on Sarjapur Road look danger in the eye when they walk on the unpaved sides of the busy main road. 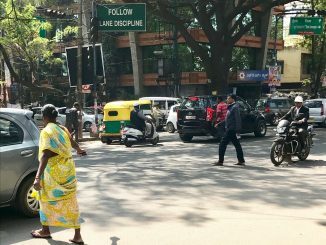 Bengaluru Traffic Police are trying to help, but more work needs to be done before people can walk without fear. Industry is disappointed as there is no large investment in neither power nor infrastructure. Chief Minister has explained the projects which are in execution. We need big ideas, large solutions, massive investment and a big vision.